Trial By Sapphire: High Five For Friday! Guess what? I still don't have internet at home. I feel like I've been transported back to 1999, except the world didn't exist on the world wide web back then, so I wasn't missing out on anything. Now I am. News, e-mail, online bill pay, restaurant information, and driving directions are not nearly as convenient or easy to read on my phone. Please excuse my on-going absence from 2012. I'm doing my best to keep up during lunch and breaks at work. I haven't taken the plunge to hit up Starbucks yet, but I might be approaching that point. I've not seen a full-size Starbucks in my part of town yet, and I really don't want to drive far to hit up free Wi-Fi. Here are five highlights from my week! 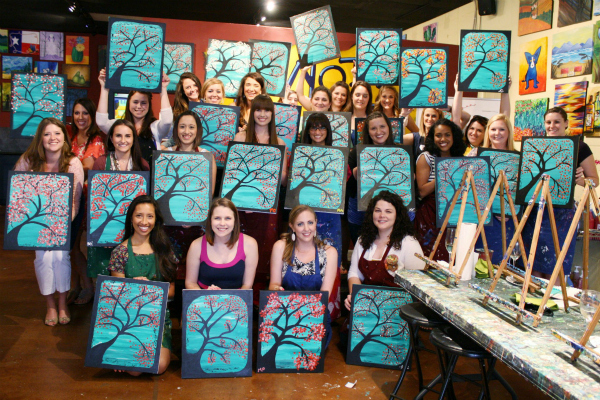 I went to the latest blogger meet-up at Pinot's Palette over the weekend! It was the largest meet-up to date, and I can't wait for the next one! It was great to see familiar and new faces! I also found out I'm not too shabby at painting. Both of the instructors complimented me! "You're so small and tiny! When you walked in, I was like, 'Oh, she's not 5'10".' You look so much taller on your blog." I've never owned a high-quality hair appliance... until now! I got a "just because you're awesome" gift from Whitney, and I'm totally in love with my new Chi! How great is she?! During our brief power outage on Wednesday, I used our new candle stick holder that we bought at the farmers' market over the weekend. I love that thing! It reminds me of Pinocchio! The work-out journey continues! I'm navigating this whole "working out at home" concept. I would rather be in a studio with an instructor to push me, but I also don't have a studio here, and I don't want to become a hungry hippo (remember that game?) rolly polly. 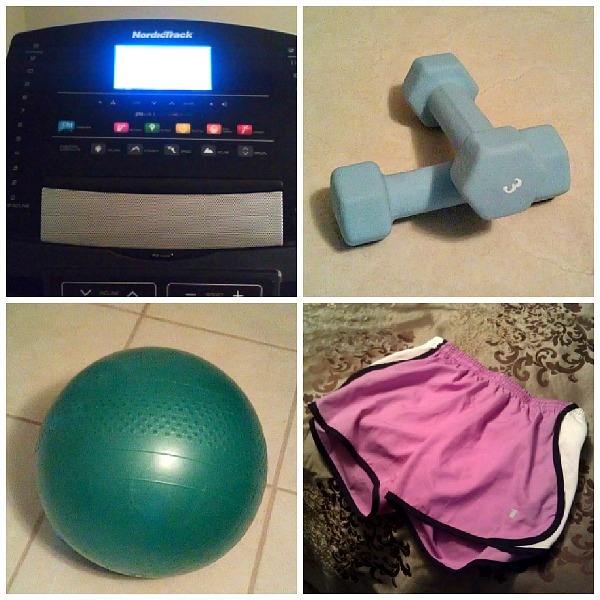 Home work-outs for the win! Cheers to the weekend! Enjoy it! Please send me some good internet-having vibes! As always, I'm linking up with Lauren from From My Grey Desk! Looks like your meetup was a blast! Painting, wine, where do I sign up?! And that flat iron is super cute! What a sweet gift. I'll tell you, I'll never go back after investing in a quality flat iron - works wonders! Hope you get your Internet back soon. Sending good ju-ju your way! Chi is the way to go :) What a nice gift! 'Just because' gifts are the best. I work out at home, too! Bodyrock is FREE & the workouts are super effective for me. Plus, the host is adorable & it feels like she pushes you harder! You will need a timer, because it's all interval training, but don't order the one on the site! There are apps & you can also download them for free on your computer. I've done the painting thing before and it's so fun! It's called Spirited Art here where I live. I was amazed by how well mine turned out when I am 100% non artistic! 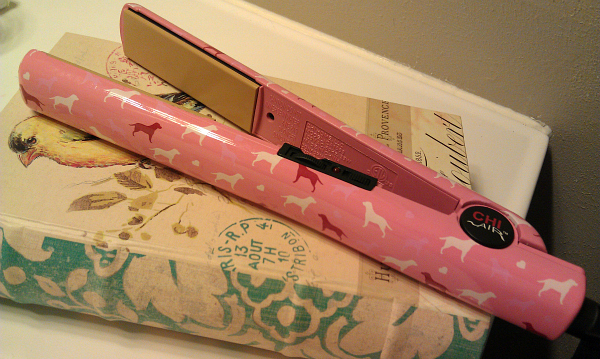 I love your new chi flat iron - is that little doggies on it? That's what I'm doing until I can move out of the...uhhh...not so nice part of town that I'm living in ;) 4 more months..woooo! I'm gonna go check out Whitney's blog right now! If you love her, I'm sure I will, too! yay for running shorts! get it girl! You will ALWAYS be tall in my eyes, if that makes you feel better!! You're beautiful either way, so BOOOOM! Love the Chi! You will never go back to a cheap iron after you have had the Chi in your life! 1st horaay for your blog meet-up! 2nd, if you ever want to try Cross-fit work outs at home my friends say they are great! I go to the classes, but you can be part of an imaginary "team" :) Good luck! 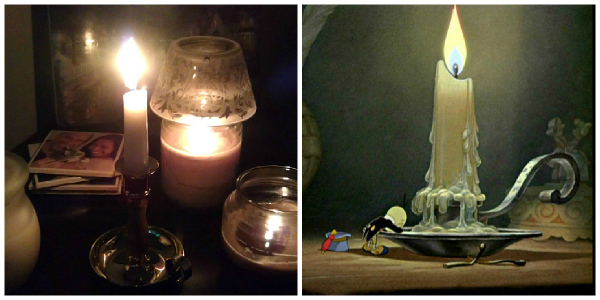 Candle holder for the win! looks like a pretty good week! hope your weekend is great! I love those painting places! So much fun! And you work it with that fitness girl, you have got this! New follower! Love the blog- you're adorable! That meet up looks wonderful and those paintings are absolutely lovely!